Bomber County’s iconic Vulcan Bomber will return to the skies over Lincolnshire this weekend (11th– 12th August) in an augmented reality app as part of the city of Lincoln’s RAF100 celebrations. 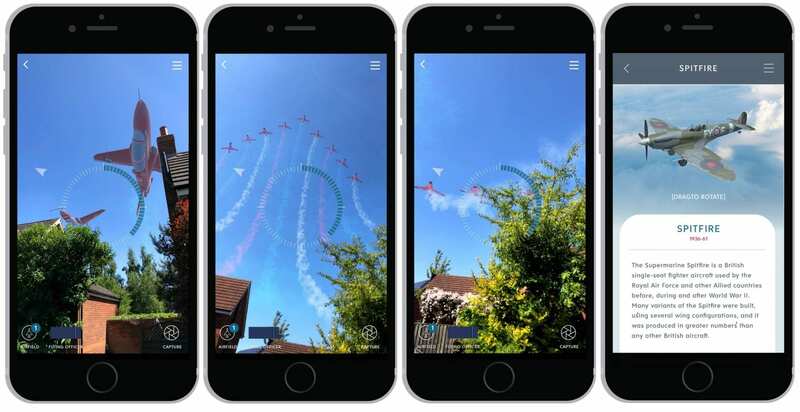 In addition to the various activities taking place, which will include aviation displays and a fireworks display on the Brayford, those celebrating the RAF’s centenary will now also be able to witness the legendary aircraft in action wherever they are using the newly launched RAF100Flypast app. The Vulcan is the latest aircraft to be added to the app which allows users to create their own flypasts, capture and collect aircraft, view them in scaled augmented reality, and learn more about their technical specifications and history. The Buccaneer, Canberra and Lightning F1 are also being added. The RAF created the free to download app in a military first this summer, working in partnership with the University of Lincoln’s School of Design, School of Computer Science and Lincoln International Business School to bring the realistic 3D planes to life. Working collaboratively, academics from across the schools came together to develop the concept, game mechanics and design. They were supported by students from the schools who gained valuable experience in helping to come up with ideas, developing prototypes for user experiences and collating historical information. Deputy Vice Chancellor of the University of Lincoln, Julian Free, said: “The iconic Vulcan has long been associated with Bomber County and it’s wonderful that this app will now allow people to enjoy seeing it in the skies once more. “The team at Lincoln has combined their respective expertise to deliver a first class product for the RAF, and the project demonstrates the University’s commitment to its Student as Producer ethos, engaging students in real-world briefs. The RAF100Flypast app is free to download from the App Store and Google Play. Follow the School of Computer Science on Twitter and Facebook.